Entrance to the grounds of Ilam. 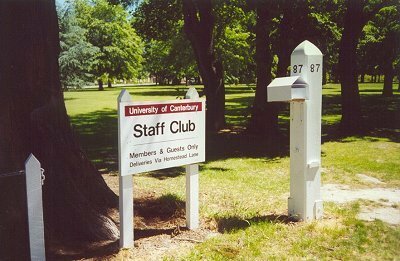 Identified in the Heavenly Creatures film as the estate of the Rector of Canterbury College, Ilam is now a suburb of Christchurch in which the University of Canterbury is situated, and the former Rectors' residence has been turned into its staff club. 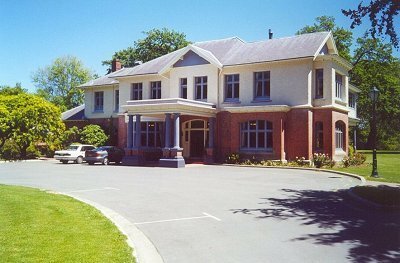 This building is located adjacent to the University on Ilam Road, opposite the Route 21/Orbiter bus stop. Approaching the former Rectors' residence. 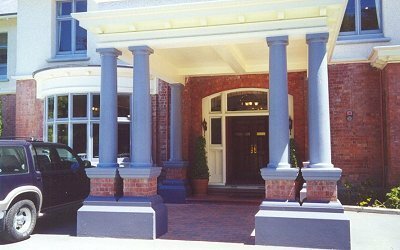 Main entrance to the current staff club.